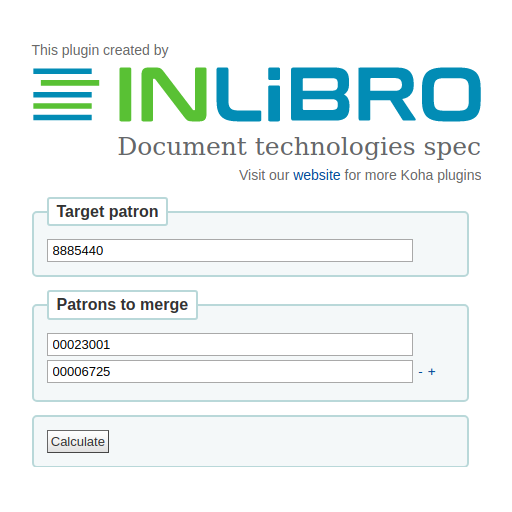 Koha Plugins | Solutions inLibro inc.
inLibro has created some plug-ins to provide libraries with additional features and controls over their Library Management System. 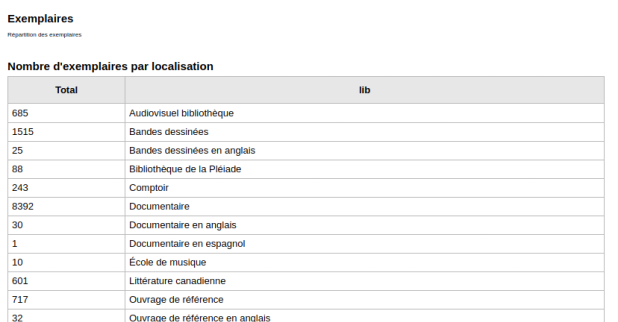 Most of our plug-ins are available in French and English and compatible with Koha version 3.20 and higher. Do not hesitate to follow these instructions to know how to install a plug-in in Koha. Fill up the form to stay informed of our new plugins or plugins updates. This plug-in uses one of your list to create a nice dynamic carousel on your library home page. Allow to batch change the items Due Date based on some filters on borrower numbers, patron’s categories, document types, issue and due dates. This plug-in creates a cover image for documents missing one, using the first page of a PDF file associated to the 856$u subfield. Note : This plug-in requires the libcairo2-dev Linux package which may have to be installed by your IT support team. Requires Koha 17.05 or higher. Use this plug-in to download a backup of your database content from the staff interface. 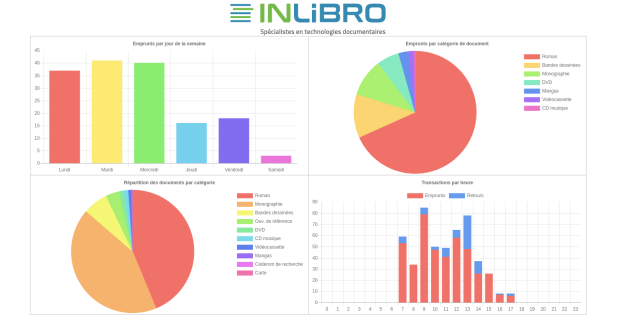 This plug-in allow users to make request for documents that are unavailable at their library. 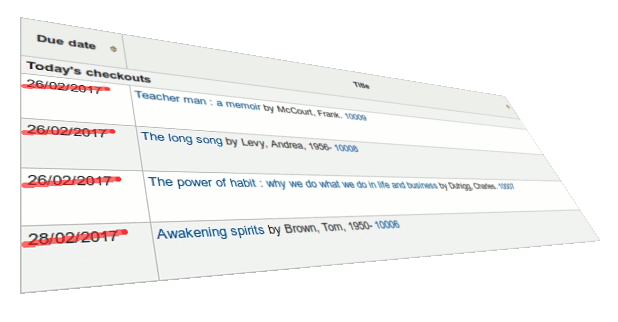 This plugin allows you to set a specific hard due date for a selected branch, patron cartegory and item type. Note : This plug-in is compatible with Koha version 16.05 and higher. This plugin lets you generate charts presenting statistics about various elements of your network. This plugin lets combine multiple reports into one, presenting it in a single unified HTML page, organized in customizable sections. This plugin lets merge users, combining their issues, holds and fines. 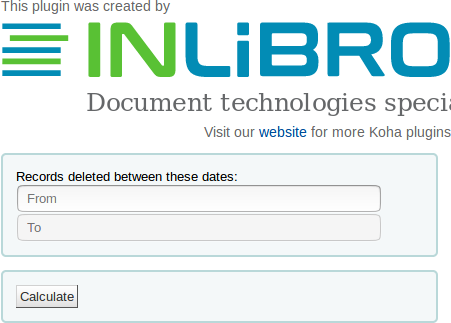 This plugin allows you to undelete records and their items that you have deleted by mistake.